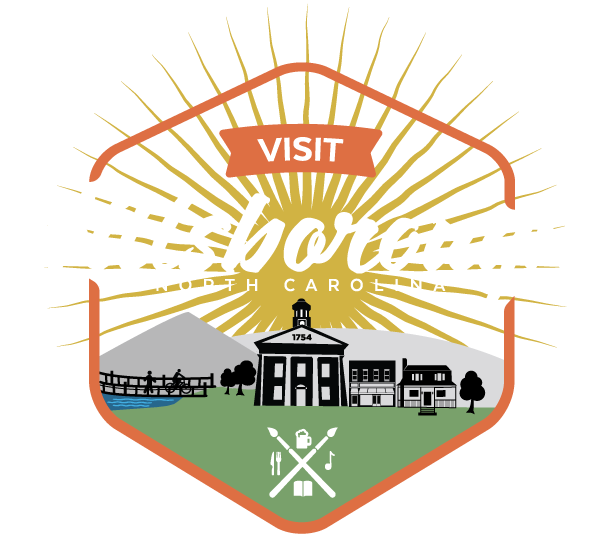 Experience American history through the unique perspective of one of North Carolina’s oldest and most historically significant towns, with a guided walking tour of downtown Hillsborough. Established in 1754 as the seat of government for Orange County, Hillsborough’s colonial legacy and signs of its importance in North Carolina and American history can be seen everywhere. The tour begins at the Hillsborough Visitors Center, located in the eighteenth century Alexander Dickson Farm House, and guides visitors to a variety of historic places from the site of a 1790s African American-owned distillery to the 1840s Orange County Courthouse and the grave of one of North Carolina’s signers of the Declaration of Independence.